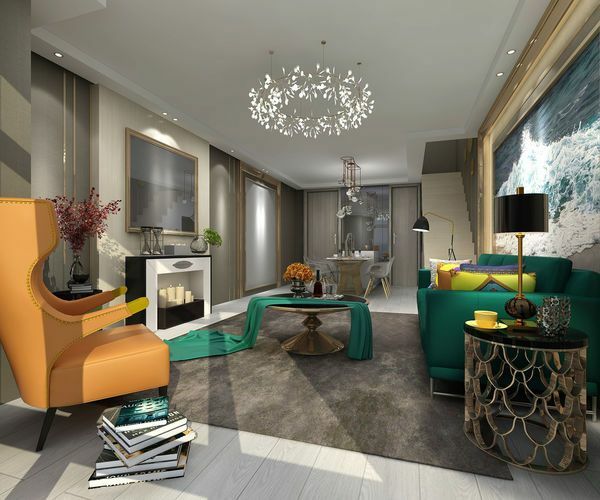 In this stuffed-busy and modern era, a well-decorated living space makes you feel calm and relax. Living room is the place in a home where we spend most of our free time watching tv or doing things which make us feel good. So here are some cool ideas especially selected and handpicked for you. Go ahead and give your living room a new definition. When talking about home, we first think about the source of light. It could be natural light entering in the room directly by the window or artistically arranged electronic lights! Here, we see most of the rooms nowadays don’t have direct exposure to the natural light, but hay worry not we are human and have created solutions for almost everything! So of course, if you can always opt for lights which not only fill your room but also give you a peaceful environment. Like here, chandelier with fur lighting and theatre like focused light arrangements! 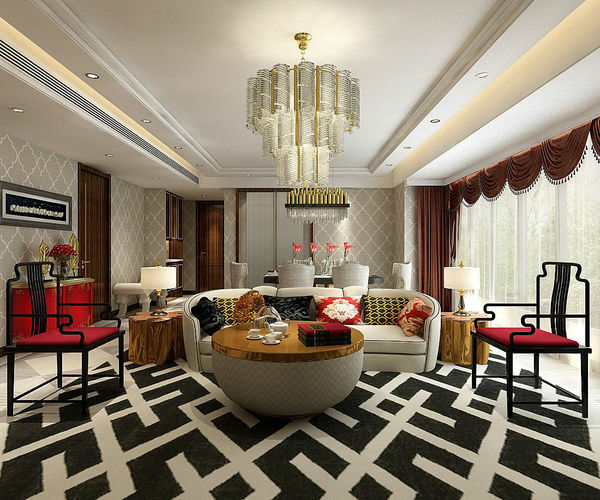 Okay, so your room has enough space to accommodate every furniture of your interest and latest designs. But now you sit down, relax and take a long satisfied breath and suddenly you look up, what! There is some empty space! See, you can always cover that space with anything of your interest! But this is to suggest you that, a multistory chandelier will do a great job in addition with acting a source of light and attraction. And that’s all you may want! You are artistic and colour loving creature and got every design and colour you may think of. From curtains to pillows and furniture, everything is set as you may please! But what you the blank wall around you? What will you do for that blank space to bring in life? Got any idea? 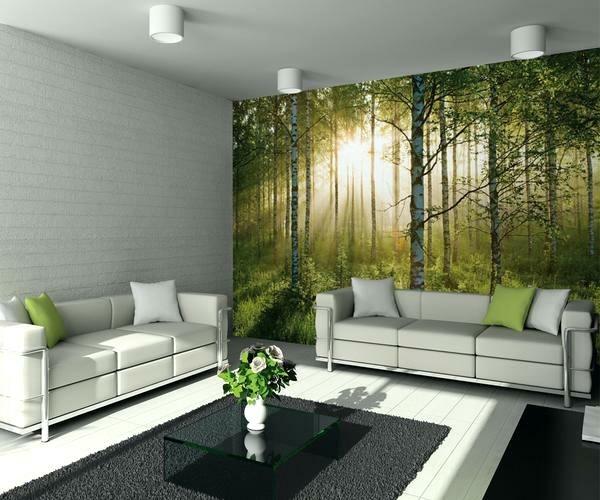 Okay here we go, nowadays there is multiple types of PVC wallpapers are available in different sizes, designs and colours. Go get on for you, according to the available space. Sticking a PVC Vinyl wallpaper is super easy. Almost all wall stickers come with self-adhesive, you just need to clean your wall and stick the wallpaper followed by given number sequence and you’re done! Believe us, you’ll love this new addition in your living space! Thank us later! 4. Playing with colour and contrast! Addition of colour definitely makes our lives cheerful and obviously colourful! But adding colours at appropriates places is an art! The best part is, you need not to be an artist to play with colours! 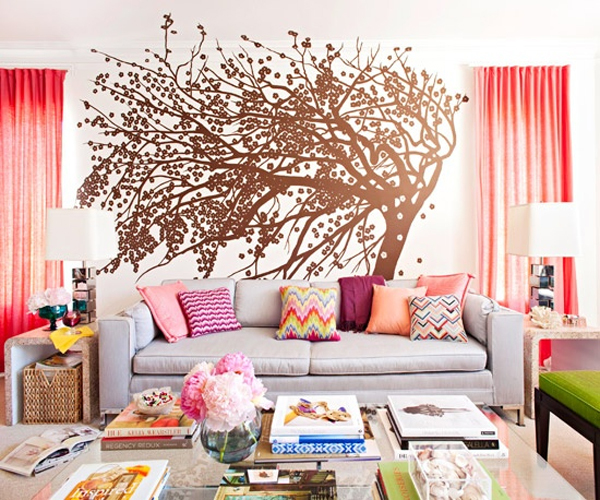 When it comes to decoration of living room everyone shows up with their own ideas and interests. And since we are talking about colours, we suggest you add colours with their dark contrast for fair focus, attention and increased attractiveness! 5. Idiot Box is now an intelligent Box! So the headline call-out idiot box as an intelligent box, because today a TV is not limited to a TV, its smart now! It can do computations, recognize your face, synchronize your favourite shows with your smartphone and communicate with Google Home, Alexa, Cortana and Siri! So now it's your turn to arrange your this intelligent companion smartly. 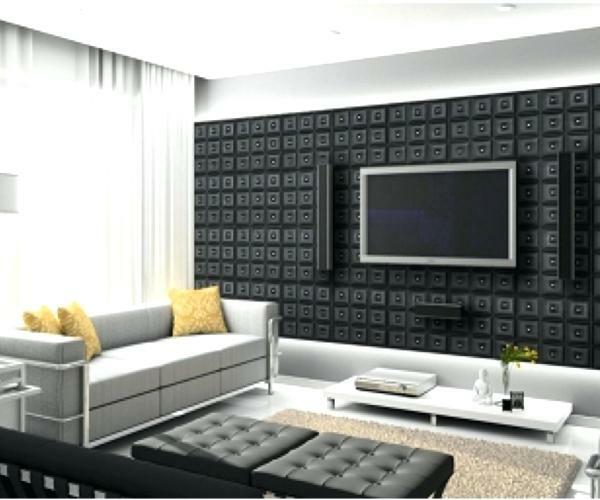 Here, the piece of advice is to fix your Smart TV with all Black or Black patterned wall. This arrangement will give your room and TV a smart synchronization! Since our evolution, we, humans love to stay in a natural habitat which provides us with the care and nourishment of Mother Nature. But today’s modernization and our flooded needs to co-operate with a rapidly growing society and culture has brought us far away from our mother, but we still love nature and it makes us feel good. So worry not if you can’t live near mountains and sea sores. Bring them home! 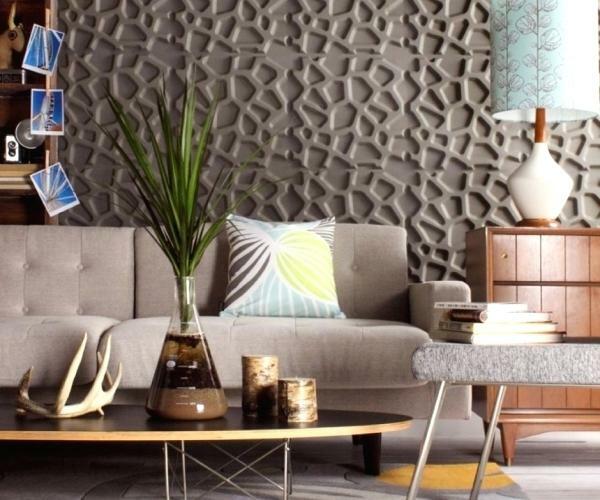 Go for 3D wall patterns of your choice and feel like living always in the lap of Mother Nature. 7. Peace? Consider All White! You are too busy all day long and overwhelmed with the crowd outside? Worry not your home is there for the rescue. Consider keeping the living room all white and see the magic! 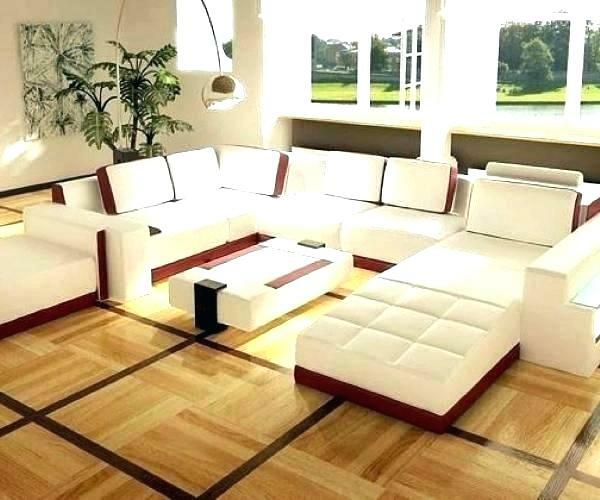 White is the colour of peace and relaxation and hence you’ll be benefitted! The window of your home opens up with a beautiful landscape and you are fond of natural greenery. That’s really awesome, but what if your window doesn’t present you this magical soul-soothing experience or even present it, plating an indoor plant or dwarf tree is always a great idea. Go ahead and bring home this new living member and feel the zeal of staying near nature! No doubt, hanging a painting give your wall a meaning. It brings the meaning and thought of your own, your interest and the definition of the room particularly that wall. Here we are talking about designer painting, a painting is a painting but a designer painting is the next things! The are several artefacts are available but a designer painting basically adds the definition your wall requires most to make it more attractive! To keep the space in synch, you do everything possible. Like from adding photo frames with border outline to pillow and furniture colours. But what if you miss noticing the floor! 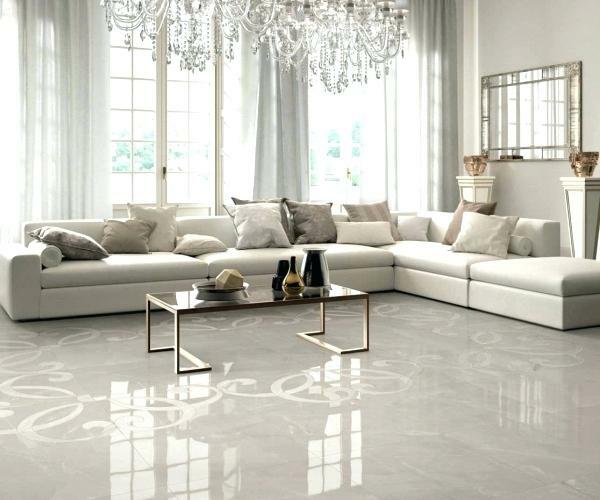 Either you have plenty of space on the floor or just as little as to adjust the centre table, you can always go for decorating the floor to stand out. And in this series of addition, keeping a square mat with synchronized colour can bring the beauty you needed the most! 11. Level of Design and Decoration! What if you are still studying at level One or working and living only on the ground floor! We need and like to see ourselves at higher places and it feels good. The same concept is here to make the arrangement in your room where you feel on a higher level for some instances and lower for relaxing and as you please. You are fond of art and photography, either your passion or profession but you feel soul soothing when visiting a nearby art gallery and art fest. Okay, that’s great because art teaches us how to live artistically cheerful and happy. We have a bit of creative advice for you. 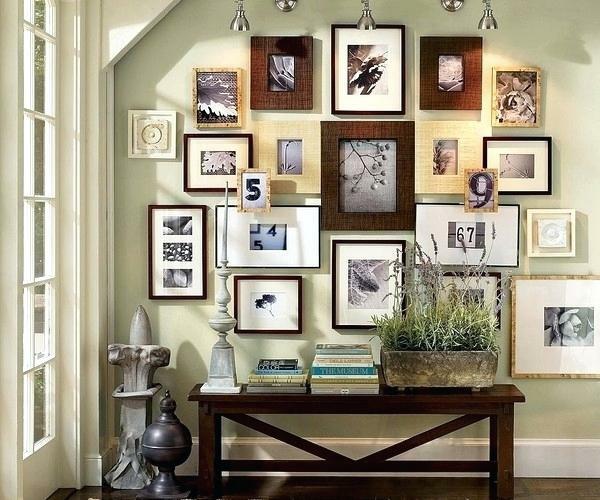 Select your most favourite side of the room and transform it into your mini art gallery. For this conversion, you need nothing but the curiosity and creativity which you’ve born with! Get your framing done with the help of professionals or go to an extra mile and do it by yourself! 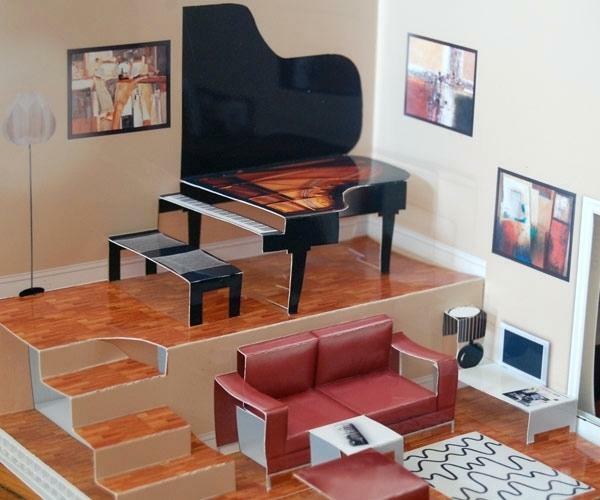 This will give your creativity a new height and wall a new definition. Don’t forget to add handing lamps! What if you live in the jungle? Or in sea sore all day and night! And the best part is, staying at your own beautifully crafted living room. Do have any idea what we are talking about? Yes, you got it right! Its 3D wallpapers with internal or external light! Today there are various artefacts are available in the market suitable for almost every size of room and interest. 3D wallpapers are one of them. It brings your wall to life and adds on with attractiveness and glam of the living space. 14. Either it’s an attractive wall or a storage space, What about both! 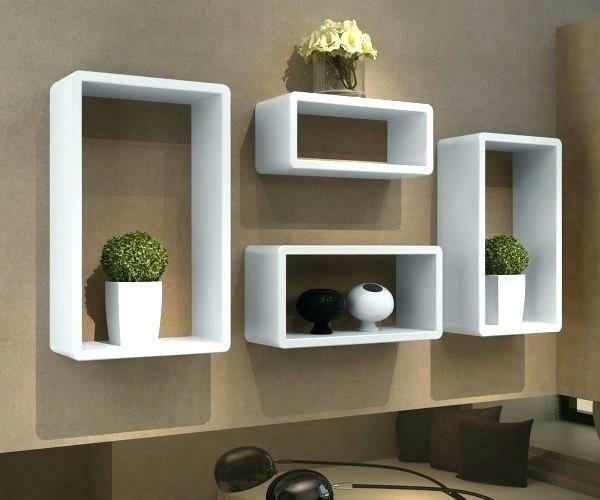 You have a blank space on your wall and you need more storage for the showcase of your books and artefacts. You can’t compromise with the beauty of your space by placing a cupboard like structure against that wall, right? Okay, so you need not to worry about anything we are here for your rescue. Just enlighten your creativity and turn that wall space in attractive and creative storage space by placing cubicles with matching colour. That’s it! Now go back and look, how it feels, more arranged than before! 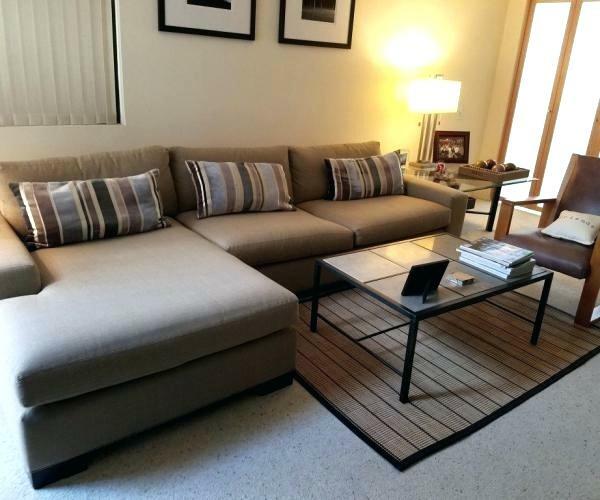 We have talked about making things more appealing and adding a stunning beauty to our living space. But it seems that this conversation is not complete yet! There is something missing! Do you know what? Yes, you got it right. It’s the wall clock. How can we wrap up without considering the importance of time! Time plays a major role in our lives and everything around us. Even in the digital age, an analogue clock represents the time more dominating and powerful. 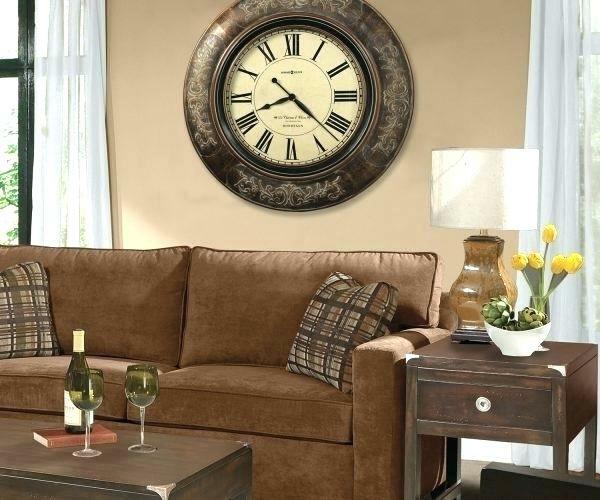 So hanging a large size wall clock on either of your living room walls will not only beautify the room but also keep you on time!